Does your firm have a Business Development Plan? If so, does it really work? Is it complete and functional? Do you point to it with pride as you interview potential staff members? Does your Board of Directors consult your plan and use it for benchmarking? If your answers to any of these questions is a resounding “No,” then this issue is intended for you. And if your answers are all an enthusiastic “Yes,” then this issue can give you an alternate way to consider as you update your plan. 1. A BD plan drives your entire business development program. 2. Developing the right business from the right clients drives your entire business plan… and your success. 3. The BD plan allows you to benchmark your operation throughout the year, and take corrective action where necessary. 4. The BD plan enables you to measure individual staff members’ success in developing new and expanded business opportunities, and take corrective action where necessary. 5. In firms with multiple offices, the BD plan provides a measure of continuity of mission and approach among the offices. Now that you know you need one, do you want to know how to craft the best Business Development plan you can? Give ALL your firm members the skills to create and follow your BD plan to bring in new work and persuade current clients to give you more. Register now for PSMJ’s 2011 A/E/C Marketing Bootcamp: THE Program On How To Get And Keep Clients. This spring, PSMJ is providing 5 locations all across North America to give your whole firm the tools and confidence you need to succeed in bringing in more work for the firm. Click here for more information. Finding the right match is one of the biggest frustrations of both buyers and sellers of A/E firms engaged in the M&A game. While there are many facets to the nebulous term of “the right match”, one fundamental piece of it is a clear alignment of each firm’s motivations for the transaction and expectations after the deal is closed. The recent acquisition of CECO Associates (CECO) of Scranton, Pennsylvania by LaBella Associates (LaBella) of Rochester, New York is an example of two firms that did their homework to understand and articulate the motivations and expectations and build a winning transaction around that. LaBella, with 140 employees, provides architecture and engineering services from offices in New York and Pennsylvania. Commenting on the underlying drivers for the deal, LaBella CEO Sergio Esteban stated that establishing a presence in Pennsylvania was a strategic objective for LaBella. With the transaction complete, 30-person CECO will retain its name, employees, and location. The firm will operate as a division of LaBella. To keep tabs on the latest M&A news from the A/E industry and transactions like this one, subscribe to the M&A Insider— PSMJ’s free weekly e-news on the latest transactions and the tips you need for successful M&A strategy. Learn more and sign up today by visiting www.psmj-ma.com. About LaBella Associates: LaBella Associates, P.C. was originally established in 1978 and, since then, has grown to become one of the leading engineering and architectural firms in the Rochester, New York area. The firm has received architectural and engineering design awards both at the local and national level. One such recognition was as one of the top 100 fastest-growing firms in the Rochester area by the Chamber of Commerce. In addition to Rochester, LaBella maintains offices in Hornell, NY; Ithaca, NY; and Coudersport, PA. If you’re okay with making only 60 percent of the compensation you deserve for project changes, keep managing change like you always do. If not, start implementing these three principles! 1. Never surprise your client. 2. Ask for the additional compensation at the appropriate time, which usually means before a significant change is made. 3. Have good documentation (on direction given and level of effort required). These “Keys to Managing Change” were developed from the results of a study conducted by a large A/E firm on how much compensation they were receiving for client-driven design changes occurring during the design phase of their projects. The results of the study indicated that the A/E firm, on average, received only 60 cents of compensation for every one dollar worth of design effort expended on making the changes for the client. These were design changes that the client was asking the A/E firm to make. This did not include the internal changes that occur during the normal course of design development. - PMs were not asking for the additional compensation. - When a PM did ask for additional money, they were waiting until the project was over or the change was completed before approaching the client to ask for additional compensation. - When approaching the client to ask for additional money, the PM could offer little if any documentation of the direction given by the client or the level of effort required to make the changes. Follow these principles when managing change and don’t put yourself in a position to receive less compensation than you deserve! To learn more tips and techniques you can use to become a better and more successful project manager, check out PSMJ’s Ultimate Project Management Manual. PSMJ’s Ultimate Project Management Manual can instantly and dramatically improve your ability to manage projects for quality, speed, and profitability. Click here to order, e-mail customerservice@psmj.com or call PSMJ customer service at (800) 537-7765. In today’s economy, we are all pushed to do more. Downsizing and the reluctance of firms to hire with current economic uncertainties mean that all of us must take on more responsibilities without the support that we had just a few months prior. While this may have made us more productive, this will inevitably take its toll in our personal health, happiness, well-being, and our families. Many times, when a job at hand is all consuming, you may run yourself down and actually end up doing subpar work. For example, you may have to work through the night to complete a submittal on deadline, spend the weekend rewriting a report from a sub that was poorly written, or run out of time and have to hand over a poorly written status update to a client. All the time, you miss family events and essential sleep because of work commitments. 1. Set boundaries. In spite of work pressures, don’t take work home every night and don’t work all weekend every weekend. You need to refill the reservoir to remain productive, so take time to do it. 2. Enjoy your life. Most of us have a life outside of work; we have families, friends, church and social groups. So, enjoy that group, participate and contribute. Studies indicate the most productive workers are the ones who have an interest outside of work. 3. Never think that your work is more important than your family. You have one family and one shot at parenting—do it well. 4. Protect your health. Eat well, exercise, get rest, brush your teeth and do all that stuff they taught you in kindergarten. This little stuff is important; a sick project manager is useless. Find out more about how to create a work/life balance with PSMJ's A/E/C Project Management Bootcamp. PSMJ’s Bootcamp is a revolutionary training like no other--through interactive case-studies, real-world examples, and proven solutions, you will foster innovation, elevate communications, increase productivity, and improve your firm's bottom line. PSMJ's A/E/C Project Management Bootcamp can instantly and dramatically improve your ability to manage projects for quality, speed, and profitability. Click here to register or contact PSMJ Education Department at education@psmj.com or (800) 537-7765. On March 18, 2011, at the A/E/C Industry HR Summit in Orlando, Florida, PSMJ Resources, Inc. named two engineering firms and an architecture and planning firm as winners of the 2011 Best A/E/C Employer Award. In the large firm category, engineering firm Simpson Gumphertz & Heger (SGH) took home the prize. SGH employs more than 400 employees among its offices in Boston, Los Angeles, New York, San Francisco, and Washington D.C. They’ve won over 400 awards for their work in designing, investigating, and rehabilitating structures and building enclosures throughout the United States and in more than 30 countries. 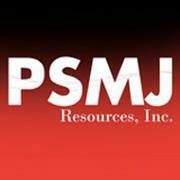 In the mid-size category, PSMJ named engineering firm P.W. Grosser Consulting (PWGC) the winner. With offices in New York City, Seattle, and Greensboro, North Carolina, PWGC focuses its practice on planning, design, and redevelopment. Their areas of expertise include environmental compliance and management, energy and sustainability solutions, expert consulting and client representation, civil and general engineering, wastewater/water supply, remediation/hydrogeology, and geographical information systems. JMZ Architects and Planners, based in Glens Falls, New York, is the winner of the small firm category. Established in 1977, JMZ focuses its practice on “shaping the future of higher education.” Their goal is to create high-value academic environments that preserve campus integrity, enrich student-faculty life, contribute to institutional advancement, and build better relationships with their communities. Their work can be found at over 40 colleges and universities throughout the Northeast and Mid-Atlantic regions and includes libraries, lecture halls, dining facilities, laboratories, technology buildings, theater, concert halls, offices, child care centers, athletic facilities, and student housing. A panel of industry experts from PSMJ chose the winners based on the results of a 70-question employee survey that gauges, among other metrics: employee commitment, work culture, employee engagement in the promoting overall firm success, employee development, leadership, firm communication, and hiring practices. How Do You Know What Your Clients Really Think of You? Knowing what customers want and need has become the basic building block of every industry group and business, but it’s astonishing how many firms never think to ask what their clients really want, or even how they’re doing. Is it because you’re oblivious? You don’t care? You don’t really want to know? Of course not, but NOT asking your clients can be dangerous and might just lose you a client or future project. There is no more valuable action that you can take than to ask your clients about your performance. Oh, the things you’ll learn! While client perception surveys are inevitably commissioned under the auspices of marketing, they are extraordinarily useful in acquiring a body of knowledge that can be incorporated into all areas of your practice. Clients welcome the chance to talk (and sometimes vent) about their consultant’s behavior and performance. Be prepared to learn about all areas of your practice. You’ll get comments on personalities and individual relationships, and on seemingly arcane matters such as how your billing gets done, the size of the type font you use on your letterhead, and even the kind of car the project manager drives. Clients use these surveys as the opportunity to unload the good, the bad, and the ugly. You’ll get a lot of great ideas for your promotions and sales programs as well as recommendations on changes to your operations and project delivery. If you commission a client perception survey, be prepared to respond to the feedback. The feedback is what your audience believes to be true. Accept the results for what they are telling you. What you hear is real for your clients, and they make their decisions on whom to hire based on what they believe to be true. And be prepared, you might learn things about your practice that will require changing the way you do things and even a shift in the firm’s culture. Client perception surveys are a challenge to orchestrate, but imperative to conduct. If you are looking for a client perception survey that will save you time and money, we can help. PSMJ, in partnership with DesignFacilitator, has developed a cost-effective survey program to measure client perception and satisfaction that yield rich, highly useful information for the success of your firm. In conjunction with this survey program, we introduced the PSMJ Premier Award for Client Satisfaction, the A/E/C industry's first client-focused accolade, honors firms that consistently provide their clients with top quality communications, impressive performance, and cost-effective solutions. By entering this award program, you will get independent, confidential feedback from up to 40of your most important clients. Additionally, if you win, you will have the winning advantage of marketing your firm as award-winning in client satisfaction. And at only $595, it is a great opportunity to jump-start a client feedback initiative and prove the importance this information has for your firm. Click here to enter or email Kristen Norweg at knorweg@psmj for more details. The American Institute of Architects’ Architecture Billings Index showed improvement in February, as the average billings have increased slightly since January. Although growth remains slow compared to late 2010, the trend remains a sign of recovery. The ABI recorded a score of 50.6 in February, meaning billing levels increased slightly since the month prior. Since this is now the fourth month in a row the ABI has registered a score of 50 or higher, the case can be made that we are currently on the road to recovery in the architecture industry. Inquiries into new projects remain strong at firms, and while the majority of firms reported that the value of new contracts remained about the same in February as in January, nearly 1/4 indicated that the value increased by 5 percent or more for the month. Firms in the Midwest and South reported a continued increase in billings, while those in the Northeast declined slightly for the second month in a row after showing growth in the second half of 2010. While that stat may be discouraging to firms in the Northeast, it’s important to keep in mind the effect the harsh winter weather has on work in that region annually. Index results by firm specialization were also mixed for the month. Firms with commercial and industrial specialization reported improving business conditions in February. This marks the eight consecutive month that these firms had a score above 50; a promising sign of sustainable recovery. Firms that specialize in residential (primarily multifamily) and institutional projects however, faced a decrease in work for the month. The overall economy showed signs of picking up in February, as 192,000 new jobs were added to total nonfarm payrolls and the national unemployment rate fell to 8.9 percent, the first time it has been below 9 percent in 22 months. Construction employment contributed to this growth, adding 33,000 new jobs. Since the federal government’s American Recovery and Reinvestment Act (ARRA) was enacted in 2009, nearly 1/4 (24%) of the firms surveyed reported that they have received revenue from projects funded through the program. This was a significant increase compared to only 21.8 percent of firms in 2010. 4 in 10 firms that have received revenue from ARRA projects reported that these projects accounted for less than 5% of their firm billings in 2009 and 2010, 33% said that these projects have accounted for 5-10% of their billings, and just 7% of firms reported that ARRA projects account for 25% or more of their billings. By region, the ABI breaks down as follows from January to February: Northeast is down 46.4 from 50.4, West is up 49.1 from 47.3, South is down 50.1 from 51.5, and Midwest is down 55.3 from 56.4. By market sector: Residential is down 49.7 from 53.7, Institutional is down 48.9 from 51.3, Commercial/Industrial is up 55.0 from 54.6, and mixed is up 51.3 from 48.7. • Inquiries are up substantially and projects that had been delayed for funding are beginning to be approved for construction. State government is likely to release several shovel ready projects that had not been previously funded. • Poor, but a little improvement. I am one signature away from doing my first complete new building project in two years. On the flipside, I am downsizing my office again. • We simply cannot get enough work moving to bring in money to keep everyone paid every week. Our client base is [a multifamily] developer, and while the news reports that apartments will be coming back first, we have not seen that as reality. • Mergers and acquisitions within the healthcare industry have brought a lot of work to a stop until restructuring and the status of healthcare reform is better determined. This market has carried us through the recession, but now seem to be entering a recession itself. Newton, MA — On May 2-5, 2011, at PSMJ’s Mergers & Acquisitions Senior Executive Roundtable for Buyers in St. Petersburg, FL, PSMJ will welcome senior M&A executives from Vanasse Hangen Brustlin (VHB) and Stantec, M&A lawyers from law firm Arent Fox, and a liability insurance specialist from Suncoast Insurance Associates, to help equip attendees with the knowledge and skills they need to successfully complete an acquisition in the current economic climate. Joining the roundtable will be VHB senior principal Mike Carragher, Stantec VP Jeffrey Lloyd; Arent Fox lawyers Jamie Frankel, Esq., and Andrew Ross, Esq. ; and liability insurance specialist Brian Hadar from Suncoast Insurance Associates. For Carragher and Lloyd, acquisitions are an integral part of their firms’ ongoing growth strategy, and both have successfully closed numerous acquisitions over the years. Each will present their firm’s unique approach to buying in a post-recession market, as well as how they determine strategic acquisition needs, how they identify suitable sellers, and their methods for negotiating deals. They’ll also be on-hand throughout the roundtable to offer their opinions and comments. Together, Frankel and Ross have worked with buyer and seller clients since 1983. They’ll be there to help attendees understand how to manage their relationships. Hadar, meanwhile, will offer up expertise on the liability implications of a merger or acquisition. He has 19 years of experience as a specialist in professional liability insurance and loss prevention education for architects and engineers, along with 12 years of accounting/financial management experience, including several years as a controller for a large structural engineering firm. He was recently named AIA Florida’s Allied Member of the Year for his loss prevention work on behalf of design firms throughout Florida.